Having seen the anguish of our people on the widely broadcast defection of Senator Akpabio to the APC, I am wont to ask as Nigerian youths often do here ‘is it your decamping?’ Why drink cafenol for another man’s headache? Frankly, I am cannot say I’m surprised that the South-South has moved on from losing the presidency in 2015, however, I am somewhat impressed at how they are deftly navigating their way back to the center in mainstream politics. And for me, that bellies the drama that has been going on in the national assembly. Having invested heavily in the PDP and lost, the South-East was expected to spearhead the opposition. Many had expected Ike Ekweremadu and other leaders from the region to assume a prominent role in leading the charge. Unfortunately, there was little coordination among Igbo politicians on how to go about this as the three PDP governors of the South-East could not pull resources together to sustain a party the region literally put all its eggs in. In the build-up to Saraki’s ‘coup’ in the red chamber, David Mark whose disdain for Saraki’s desperate ambition is an open secret reportedly refused to lend his support. He was said to have advised Ekweremadu to stay off and allow the APC to produce the Senate leadership since they have had their turn, but like they say what an elder sees sitting on the mat a Dino Melaye will not see from the top of an Iroko tree. Ekweremadu joined Saraki as his deputy and Akpabio became the voice of the opposition when he emerged as the minority leader in violation of the standing rules of the Senate which reserves principal leadership positions for only ranking senators. A friend had asked then “How will Ike Ekweremadu lead the opposition when he had joined the APC in the NASS leadership?” Well, the answer has played out in the last three years. As the years passed by, it became increasingly evident that governor Wike of River state was intent on pocketing the PDP. Having tediously laboured to recover the party from Ali Modu Sheriff, he not only checkmated the South-West to ensure the emergence of Uche Secondus as the party chairman, he also started a romance with the North-West. Not a few interpreted this as an indication of his preferred region for the presidential ticket and perhaps his preferred candidate too. All these were happening at a time a majority of Igbos were still agitating for Biafra. Those with privileged information who warned that IPOB was the wrong tool for opposition were labeled all sorts. Igbo leaders dithered as the popular chants of “no referendum no election” escalated in the region. Eventually, Kanu and his IPOB mob bit more than they could chew as the Federal Government descended on them. And that was how the agitation fizzled out. It was clear to everyone that there was no plan B.
Igbos started running from pillar to post. From Fayose to Femi Fani Kayode to Atiku and now Saraki. 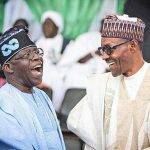 Any carpetbagger perceived as President Buhari’s adversary became an instant hero worthy of an extensive paean, and even Obasanjo who joined the coalition that deposed former President Jonathan was showered with adulation for his letter writing skills. Then things started falling apart rapidly. First, the rock of Ekiti failed in his bid to retain his crown for his party. He has since faded from the scene as a potential date with EFCC looms. Femi Fani Kayode whom IPOB members recently joined en-mass for a condolence visit in Umuahia played host to Kwankwaso after the latter’s defection. His allegiance to the Fulani whom he had goaded Igbo youths to insult was manifest in his staid visage as they posed for the camera. Currently, a majority of Igbo youths have not only become rolling stones but also a laughing stock that any joker can cajole with Nollywood tales. Having labeled the APC an Islamic party it will be interesting to see who we will choose between Atiku, Kwankwaso, Saraki, Tambuwal, Dankwambo and a host of other ‘pastors’ queuing up for the presidential ticket of the PDP. Meanwhile, as I write Akpabio has just concluded his so-called ‘world press conference’ as he decamps to the APC. We now have a scenario where the South-South is not only in control of the two leading political parties but will likely be involved in a mutually beneficial alliance with the 18 million voters from the North-West on both platforms. Add the aforestated to the fact that the nation’s Chief Justice and the Acting DG of DSS are from the region and the lucidity of my thesis stands conspicuous right? So even if the South-South can only go for the NASS leadership in 2019 irrespective of who wins as the first two positions would have been filled up, you can be rest assured that they will be gunning for the top job as power shifts to the South in 2023. Of course, some have argued that unlike the South-East which consists of one tribe the South-South is able to spread their eggs because it comprises of different tribes. But let us remember that we spread our eggs in NPN with the likes of Chuba Okadigbo, Nwafor Orizu, and CC Onoh. UPN had Chief Umeadi as Awolowo’s running mate, and top intellectuals like Chinua Achebe, Uche Chukwumerije, and Arthur Nwankwo joined Amino Kano in PRP. More recently the ANPP won over 32% of the vote cast in the 2003 presidential elections under the leadership of late Chief Edwin Ume-Ezeoke. For a people who lost a war, the Igbos recovered economically in record time. Politically, it took only 9 years to reintegrate back to the centre with late Chief Alex Ekwueme as the Vice President. Although one cannot place the entire blame on our politicians for all politics like they say is local, so politicians often pander to the prevailing sentiment to get elected. 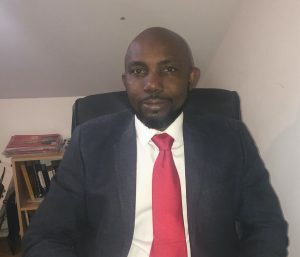 However, it behooves the South-East to pull their acts together in order to take back our rightful place in national politics because if there is one thing the Igbos are good at, it is adaptability. Igbo leaders must be courageous enough to ask a critical question. What interest will loathing a particular party serve in a democracy where partisan politics is the vehicle for making political progress? In solving this poser they will realise that there comes a time when leadership involves the elevation of vision beyond the limited scope and common opinion of the people for an enduring political future. Next article Apply for Chevening fully-funded scholarships. 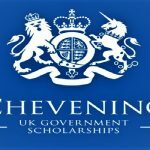 Apply for Chevening fully-funded scholarships.